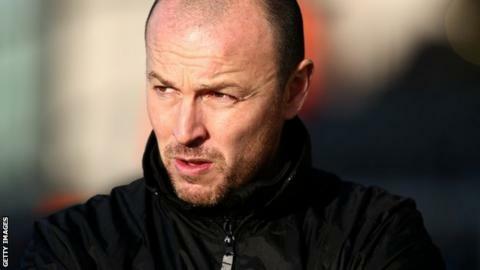 National League side Southport have parted company with manager Paul Carden by mutual consent. The 36-year-old has departed following Saturday's 4-0 loss at home to Cheltenham, which left them 22nd in the table and five points from safety. Carden was promoted from his position as assistant manager in January following Gary Brabin's move to join the coaching staff at Everton. He signed a new deal in May after keeping Southport in the fifth tier. "The Southport board would like to thank Paul for all his professionalism, efforts and dedication to the job and wish him well in his future football career," said a statement on the club website. "Results this season just have not been achieved despite Paul working very hard putting together a talented squad of players."